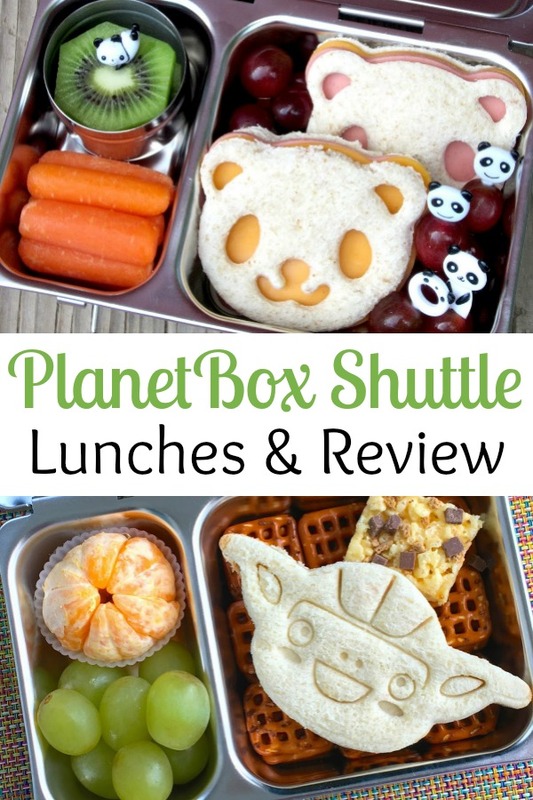 BentoLunch.net - What's for lunch at our house: PlanetBox Shuttle Review & Pandas! PlanetBox Shuttle Review & Pandas! I do love checking out new lunch boxes, especially getting to be one of the first to receive a cool new box--this time, the all new PlanetBox Shuttle! Just like the Rover and the Launch, the Shuttle is made from stainless steel, but is designed for small meals and snacks on the go. We decided to try it out as a small lunchbox, just to see how much food we could fit into it. 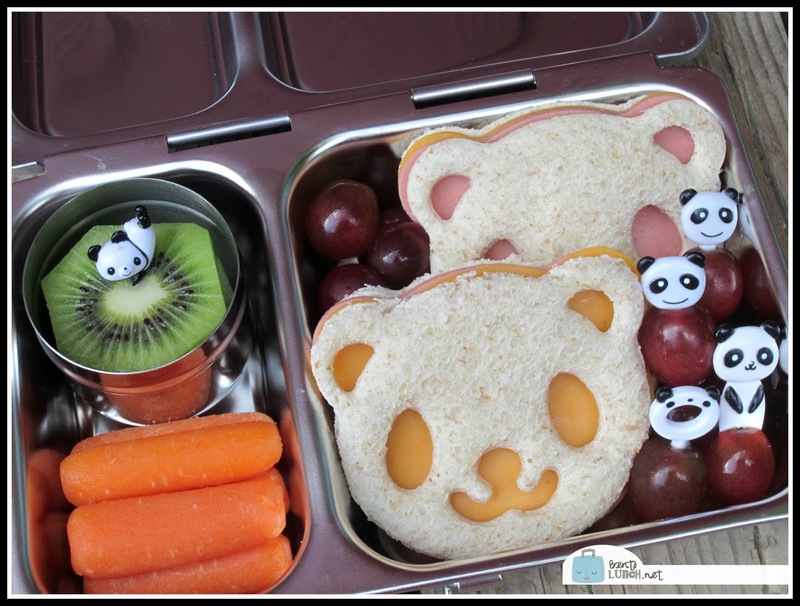 As shown, we managed two panda sandwiches, cut with our CutezCute cutter, which filled most of the main compartment. The smaller side holds carrot sticks and a kiwi in the tall Dipper to prevent leaks, then the empty spaces have grapes. This one ended up being Faith's lunch and was plenty of food for her. Like all PlanetBoxes, the Shuttle has magnet sets to change the look of the box. We received the red Day in the Park set, but I also love the blue Aliens and the purple Butterflies. Matching bags are also available, so we have the red Day in the Park one to match. I'm actually quite tempted to order the Aliens for me! 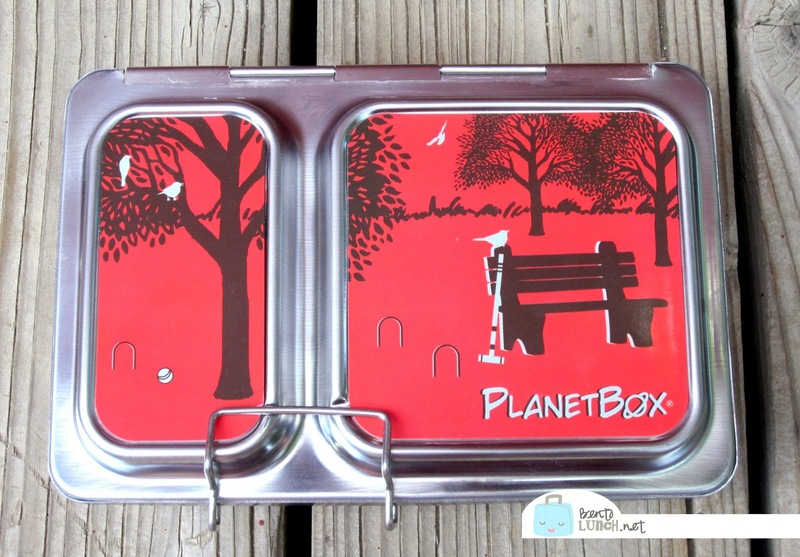 As of December 2018, the PlanetBox Shuttle retails for $39.95, which includes the stainless steel box, one set of magnets, and a Tall Dipper. For $6 more ($45.95 total), the carry bag can be added. I like the carry bag, simply because I love having everything coordinated. Faith decided it made a pretty cute purse. Plus, there is room within the bag for a napkin, silverware and a thin ice pack. Other highlights of the entire PlanetBox line are their durability and the fact that they are dishwasher safe. Our first PlanetBox (the Rover) has been well loved and is still in amazing shape. Even better, I can just remove the magnets and run it through the dishwasher instead of hand washing it. Any mom has to love lunch items that can just go through the dishwasher! Overall, we love the new box and are very pleased with the amount it holds. 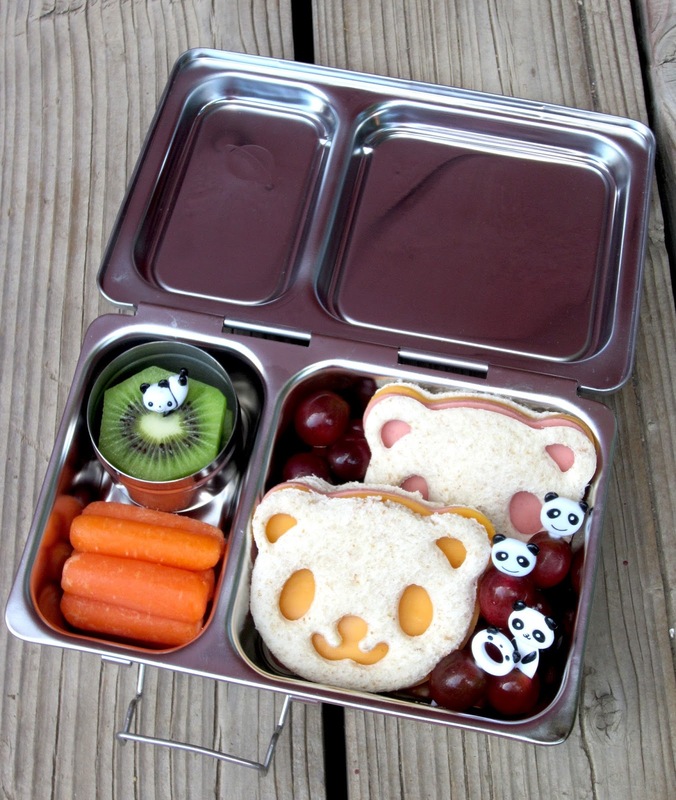 It can definitely serve as a snack box or a smaller lunchbox, which is perfect for my two. We'd highly recommend it (along with the rest of the PlanetBox line)! 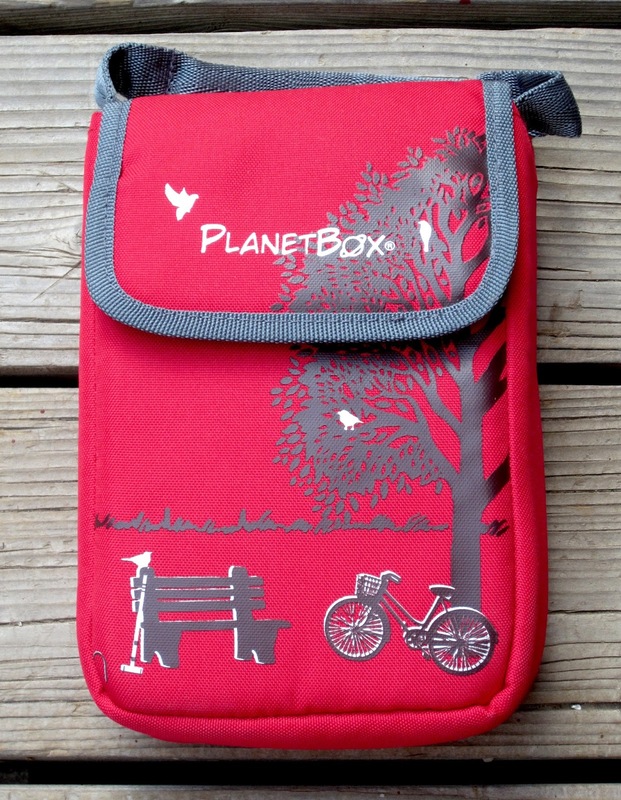 Disclosure: I received a complimentary PlanetBox Shuttle set for the purposes of this review. No other compensation was received and all opinions are my own. Great review! I love the pandas :D And the shuttle!